KitZune: "FINE!!! I'm going to bed... no one loves me anymore." he Hounds of Zeus has entered the realm of EverQuest II. THZ members are currently beta testing the game and will be continuing to play EQ2 once retail has hit. Currently members of THZ are playing on Oggok server which we have listed on our Where are we? page. The Hounds of Zeus has opened a new gaming division for the site, EverQuest II. Note: Cookie settings have changed. Please manually delete your thzclan cookie if the site style will not change. he Hounds of Zeus has entered the realm of World of Warcraft. Many members are currently beta testing the game and will be continuing to play WoW once retail has hit. A server or side has not been chosen yet so consult the forums to find out where THZ members are playing and stay tuned to the Where are we? page. Along with this news, The Hounds of Zeus has opened a new gaming division for the site, World of Warcraft. Update: You can find THZ playing Mal'Ganis server for the Alliance. he multiplayer demo is now available from the official site as well as many mirror sites. You can download the demo from FilePlanet, 3D Gamers, WorthPlaying, Sierra, VUGames, GameSpot, FileFront, Sierra FTP and via Torrent. he The Von Bondies music video featuring Tribes: Vengeance is now available to view at www.mtv.com. The video is also available in our downloads section. ast week FilePlanet released Tribes: Vengeance beta exclusively to FilePlanet subscribers, today they have opened the download to everyone. 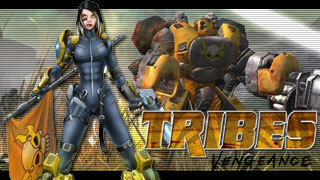 We've partnered with FilePlanet to bring you the Tribes(r): Vengeance beta. Download the beta and try it out today. Also, pre-order Tribes(r): Vengeance today and get a bonus CD featuring an interactive multiplayer map guide, the full version of Starsiege: Tribes and more. 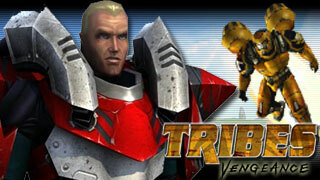 Head to FilePlanet.com and download Tribes: Vengeance beta today.